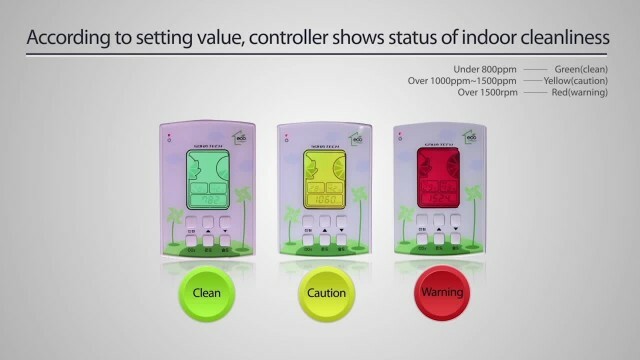 Indoor Air Quality controller video from SOHA TECH Co,.Ltd. Most of us spend 90 % of our time indoors. Consequently, good indoor air quality is important to our wellbeing. All human beings produce carbon dioxide gas by respiration, thus the carbon dioxide level can be used as an indicator for indoor human presence. A high CO2 level is a sign of poor ventilation and often an indication of other unpleasant odors in the air. In many buildings the ventilation need varies throughout the day. Demand controlled ventilation is an economical way to ensure good air quality. 00:03 SH-VT260 Sensor Transmitter SOHA TECH Co,.Ltd. 01:19 UNI-FARM Data & system control device SOHA TECH Co,.Ltd.